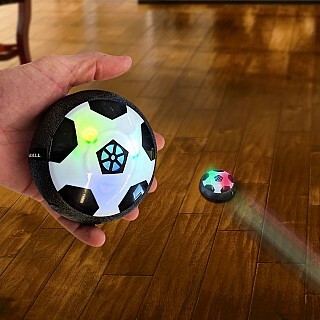 Hover Ball Electric Fan Powered Puck Glides On Any Smooth Surface. Turn any floor into an air hockey/soccer surface! Works great on wood, linoleum, polished concrete and even low-pile carpet. Only $7.49 Shipped.